Nice and super friendly staff (sorry I forgot the name, thanks a bunch for your sweet hospitality, thanks for the free metro cards!). Location was superb, only 3-5 mins walk to the metro station, room was spacious, clean and tidy. Facilities were great, the pool, the pantry was provided with a microwave, we also could do laundry. Such a wonderful and memorable stay! From the outside the motel looks old run down, but is it actually quite cozy. However, it is especially inconvenient if you stay on the second floor and has many luggages because there is no elavator. But overall we liked the place because it is near a train station, has shops likes Ralph, Marshall and Ross within 5 min walk. 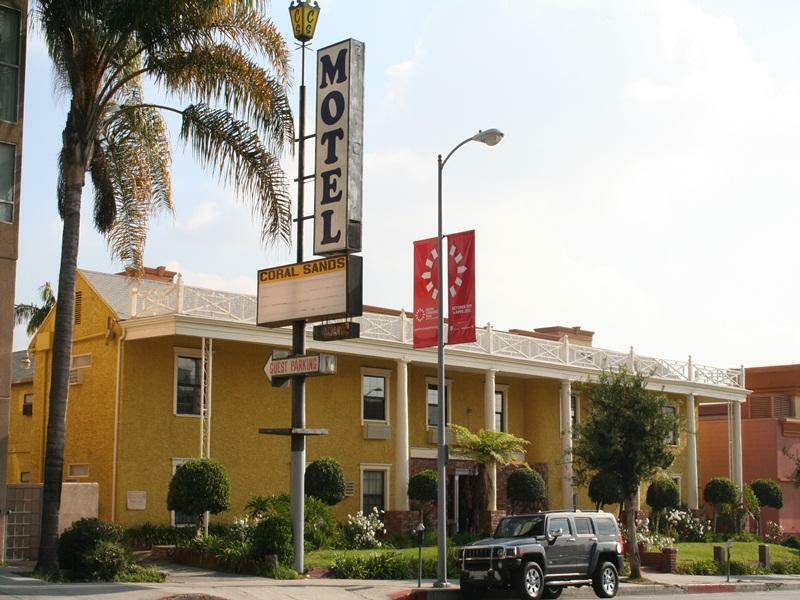 Situated just 3 mins walking distance from Western Hollywood. And by there, you can explore LA using Metro. No Elevator in the motel, so it would be a quite hard bring all your luggages if you stay at second floor. And on the otherside, a bit noisy when somebody checking in the middle of night. I was doing a solo road trip in the USA. 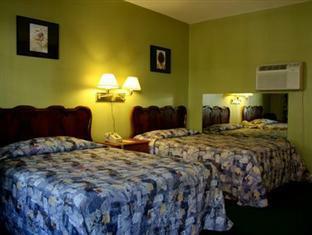 And I booked this motel for my 2 nights stay and I could not explain how amazing it was for the price. The internet was very good and parking was clean and nice as well. Everything you need is accessible. Very convenient to transportation and grocery. Stayed here before so it was as expected. Pick this because it's near the Metro and there is a supermarket right beside and Starbucks at the corner. Will definitely book again every time I visit downtown LA. The hotel was comfortable. It is a bit dated but nice enough if you are not a snob. The room was clean and the bed comfortable. The bathroom is small but then, what is it for. One improvement would be to be a bit more conservation minded. They changed the sheets, towels, soap each day I stayed there. A bit of a waste. I don't do that every day at my home. Oh well. I would stay there again. Friendly staff, good location - very close to metro station, supermarket. 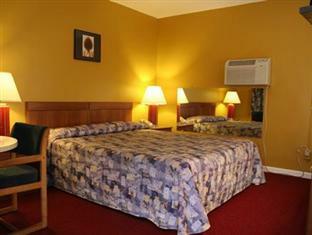 Spacious and clean room, free parking, wifi. Coral sands motel is located very near a subway station and a bus stop. Its not too far from main attractions. Staff are warm and friendly and always there to offer help. Its laundry facilities are also good! This hotel isn't pretty on the outside but was very clean inside. The location is a 10 minute drive to universal which is how long you'd have to walk if you stayed at the Hilton or sheraton next to the park and pay twice as much. Its small but great for a night to crash when visiting town. Id stay gere again for sure! My first floor room was extremely noisy. Late at night and very early in the morning thuds and squeaky floorboards, outside sounds--the worst that I have ever experienced. I would sleep in my car before I would waste money on this dump, and I'd get more sleep. Excellent Customer Service from Coral Sands Motel Front Desk Brian. I dare to say his service is as good as or even better than a 5 star hotel. Thumbs up for you Brian. Will highly recommend anyone to stay at Coral Sands Motel. The motel is simple. The bathroom is reconditioned and very clean. The staff change the towels and soap every day. In my room the internet was bad :-( but in the hotel was it good. The staff was very helpful. The man help me to look for the car rental company in near and he printed to me the condition and when we went to Las Vegas he printed to me a city map and he circled on This page where will our hotel and the shopping area. So he was very nice, helpful. We love him. I wouldn't hesitated to stay here again. Clean safe facilities, good WIFI, Ralph's market next door with a couple of place to eat next to that, free parking for 1 car, staff was friendly and accommodating, within walking distance to plenty of touristy stuff. Can't really think of any negatives. สถานีรถไฟใต้ดิน Hollywood/Western - ระยะ 0.14 กม.